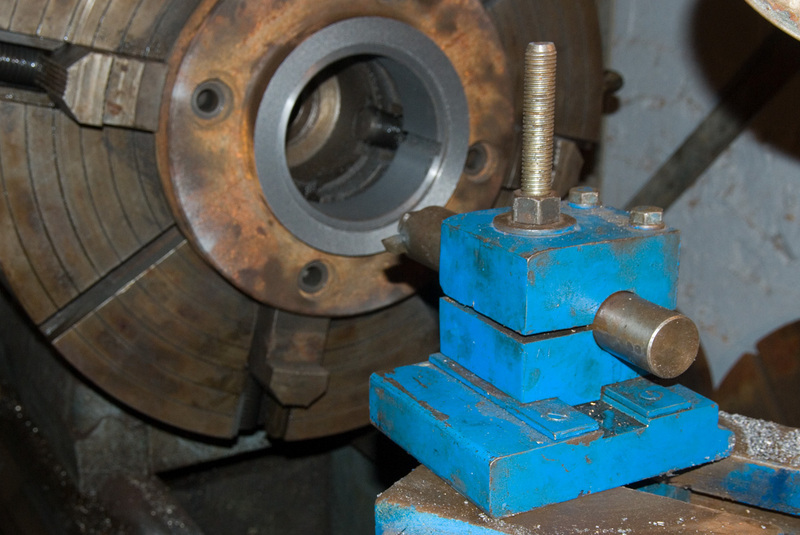 Traditional Engine lathes have much in common. They have to turn your work while a near stationary cutter comes to bear. For example when drilling with a lathe you hold the it steady and turn the work. It's sort of like screwing in a lightbulb by rotating the house. 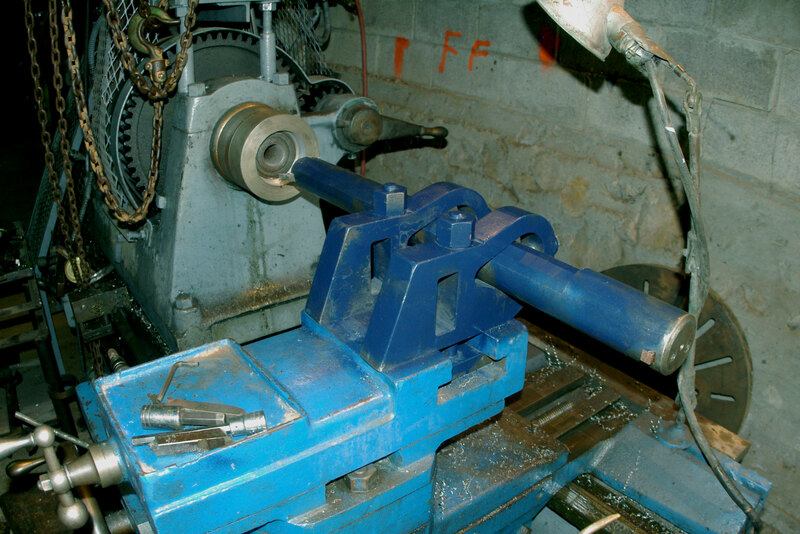 The lathe needs to be robust enough to turn the work. If you are making small round things this isn't much of an issue, but the logistics get more interesting if you are making cannon barrels or something big and heavy. I'll begin with a series of tool holders and unique cutting tools. Don't take these to be the only types or even current types. There are many kinds of cutting tools and these are some I have, but they just 'happened' and may not even be good examples. I'll begin with a series of tool holders and unique cutting tools. Don't take these to be the only types or even current types. There are many kinds of cutting tools and these are some I have, but they just 'happened' and may not even be good examples. 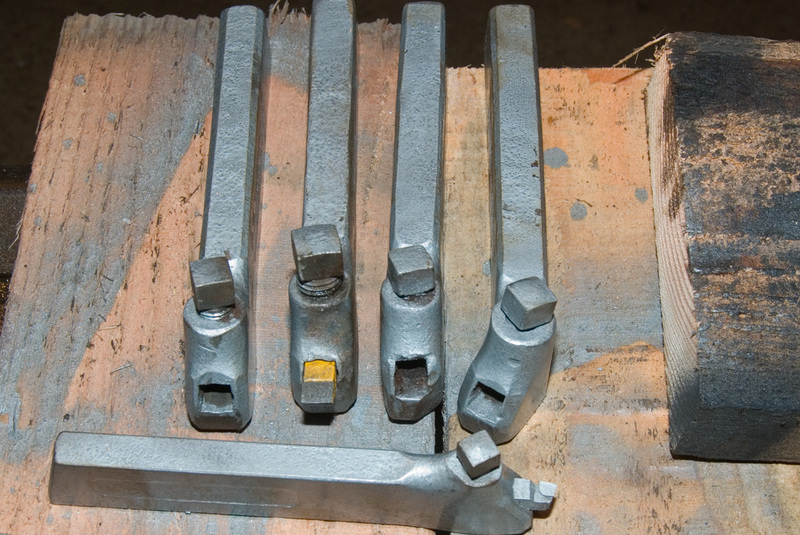 The Lantern tool holder is the classic for lathes. 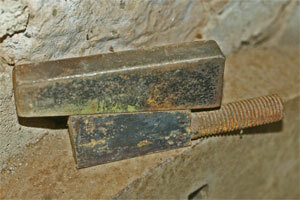 You can turn the tool, and rock it up and down to get the right height. 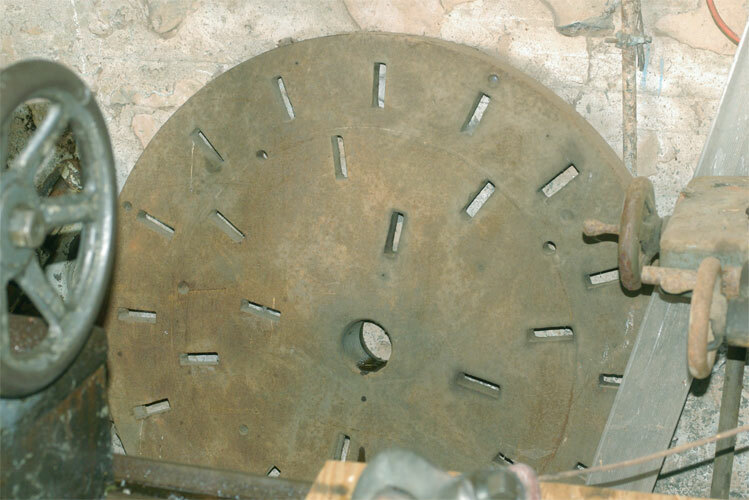 Before the days of High Speed Steel, the cutters were massive pieces like the "Very Old Cutter" in the 4th photo down. They went directly into the lantern holder. 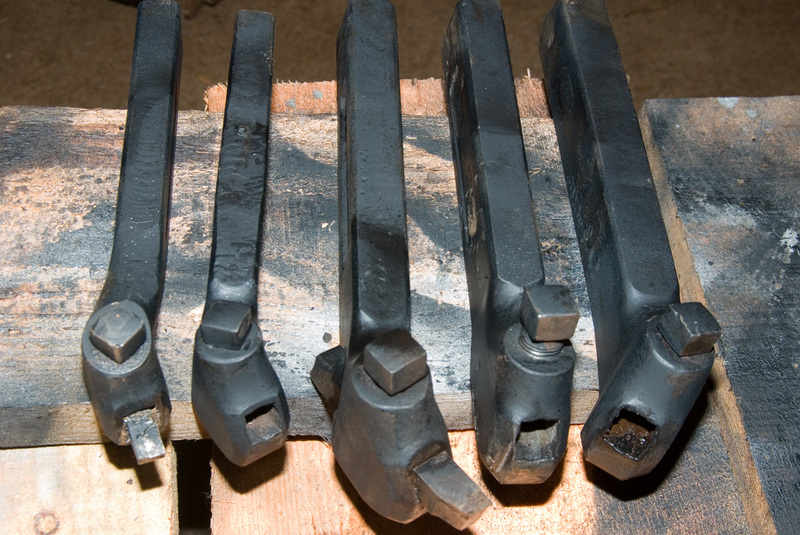 Machining took a great leap forward with the perfection of HSS--High speed steel which occurred with the dawn of the 20th century.. With that came holders that would fit in the lanterns to hold the smaller pieces of it. 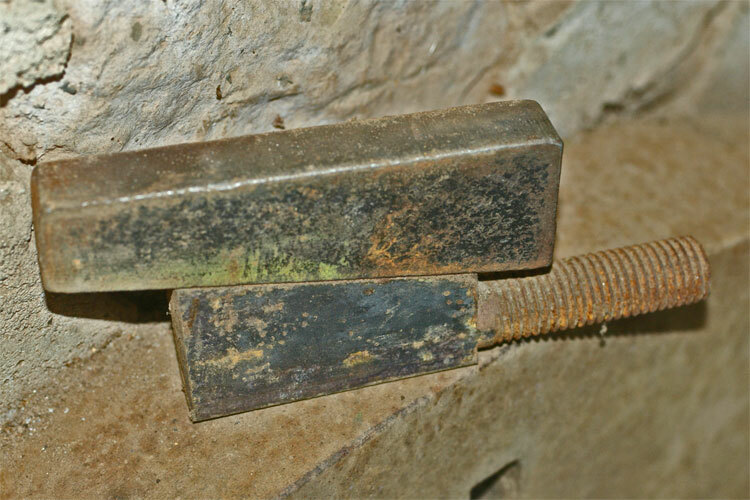 Later (after 1926) the Carbide cutters came along which were still smaller. The first two photos of the 6" square block is a shop made tool holder best used with 3/4" or 1" sized cutters which will fit in the side grove and fasten in there with allen screws down from the top. 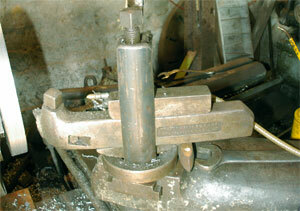 The block itself was not made for this lathe and I had to rework it a abit to be suitable for my American Lathe. That is why it appears to have an additional laminate on the bottom of it as I needed to raise it up a little. Grooves on 2 sides are 3/4 and are 1" on the other two sides. It's a home made version of some similar mounts offered for lathes. It's advantage is that it is quite rigid. Some carbides are available in those massive sizes and when I have them available this is the tool holder of choice for them. 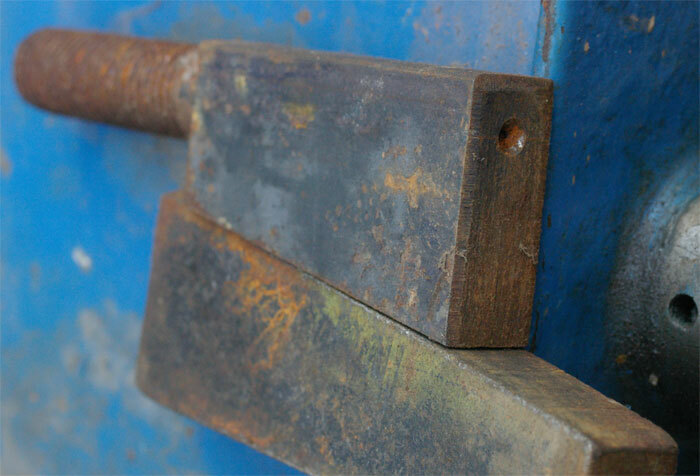 The holders for larger cutters are also physically larger. Besides coming in size variants, there are also two more variables. There are L-S-R models for Left-Straight-Right. Thus one labeled '5R' will be a #5 bent to the right (when looking at the head end). The final variant will be whether they are intended for carbide cutters or HSS. HSS workes better with an 11 degree back rake and consequently you will find the standard holder has a 'back rake' built in. This implies that the HSS insert sits at an angle with its 'nose up' 11 degrees from level. 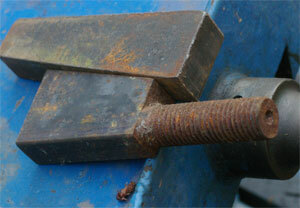 This was to save the user from the need to grind a 'back rake' into the cutter. 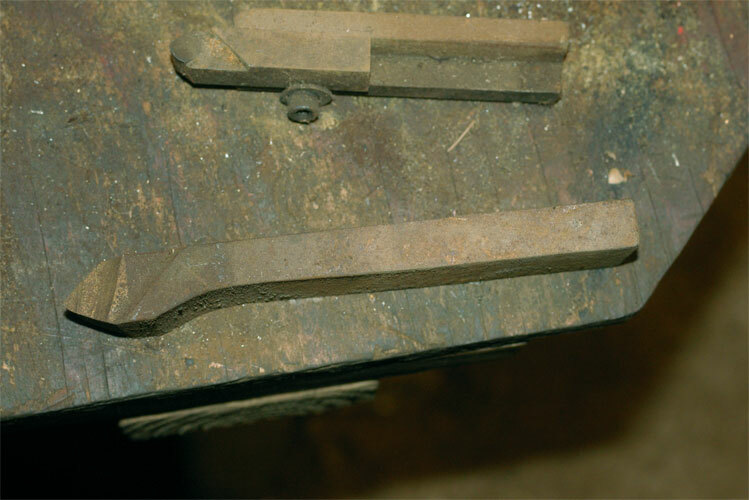 It was a great idea, but 20 years later carbide cutters became common and they don't need or want a back rake for best results. 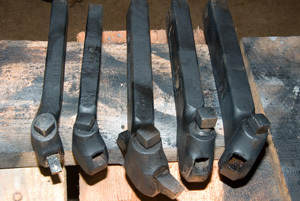 Thus you will find other holders with a 'T" in the model number which stands for Carbide. They come in all sizes, and configurations (L-S-R), but have no back rake. 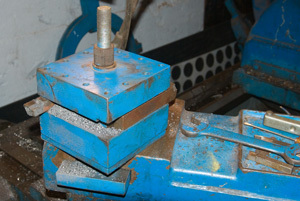 The cutter is held flat with the holder. Note the photos of holders on the left. There is just one rule about boring bars. 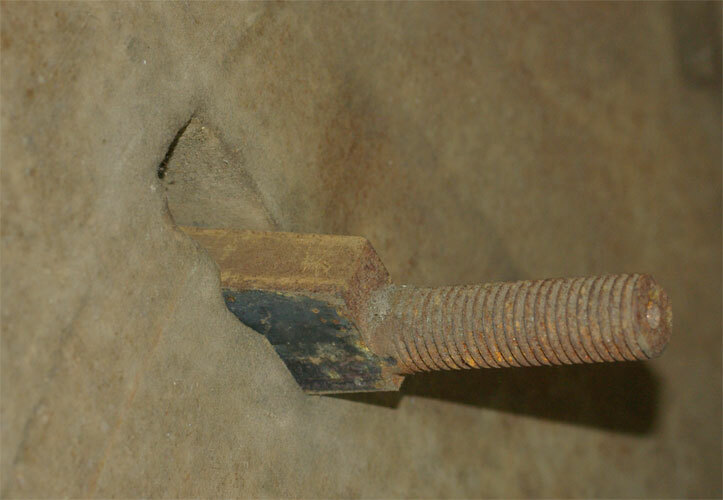 Bigger is better as long as it is not so big that it won't fit in the hole. The issue with boring bars is stiffness. Boring bars want to flex, and the smaller and longer they are the more they want to flex. 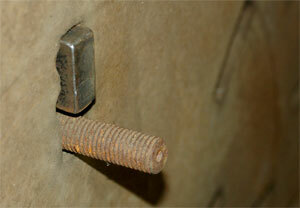 However by definition a boring bar is something that reaches into a hole. 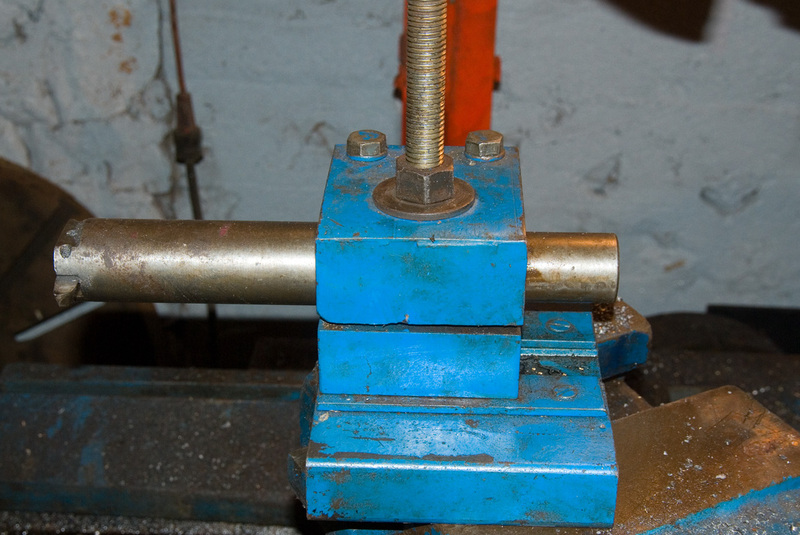 This boring bar is about as big a one as I have deal with. 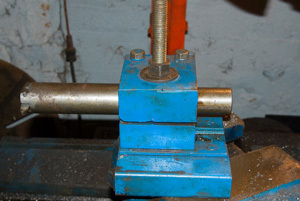 You also need to pay attention to the size of the lathe in making a boring bar holder. 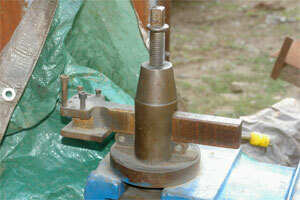 It puts a lot of leverage on the compound and if you rip the compound off the carriage, your lathes is scrap metal. 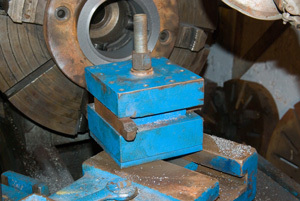 Face plates are fairly common appliances for lathes. They are the very oldest solution and predate chucks. Now typically they are a flat plate and you attach things to be turned to them anyway you can. By contrast the chucks have movable jaws or grabbing things. Most face plates have radiating T slots for attaching things. 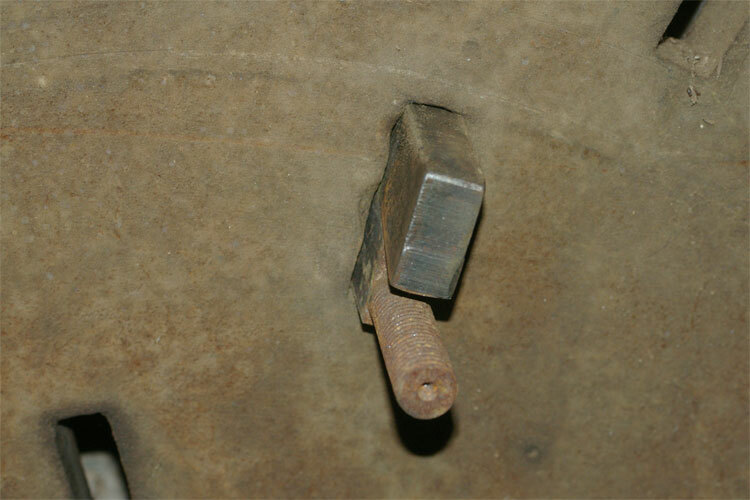 This particular face plate is somewhat unique in that it has just a variety of short slots, which apparently take wedgie holders such as the ones displayed here. I believe the holders were made by a local machinist and didn't come with the plate, but I would expect that the 'factory' holders were similar wedge affairs simply because I can't think of what else would fill the slots for holding purposes.